Is the Bradley – Pacquiao fight talk a ruse? By John F. McKenna (McJack): When Top Rank Promotions signed Timothy Bradley (27-0, 11 KO’s) a couple of days ago, right away it set the rumor mills in motion. The reasoning, according to the rumors is that if the long anticipated fight between WBO welterweight champion Manny Pacquiao and WBC welterweight champion Floyd Mayweather Jr. does not materialize Top Rank will have a fall back position. With Bradley now under contract with Top Rank it would be relatively easy to put together a Bradley – Pacquiao fight. Of course that would all be contingent on “Pacman” defeating his November 12 opponent WBO lightweight champion Juan Manuel Marquez (53-5-1, 39 KO’s). To be quite honest, Bradley although he is undefeated is not an exciting fighter and more importantly he is not a household name. Top Rank CEO Bob Arum promises to change all that. But even in his hometown Bradley has not been able to bring in the crowds. Bradley’s last fight in January against Devon Alexander was heavily hyped by HBO and still it did not draw the viewership or live gate attendance one would expect. To make matters worse the fight came nowhere close to living up to it’s pre fight hype. Timothy’s style of fighting in his fight with Alexander led to frequent unintentional head butts. The fight was difficult to watch and after all the the HBO hype I found myself asking what am I missing here? It was one of the more boring fights I’ve seen in the last several years. Inevitably the head butting by Bradley resulted in Alexander being cut. The fight was finally stopped after Alexander was not able to see due to the blood flow into his eyes. Bradley was awarded a technical decision because he was ahead on points when the fight was stopped. In short Bradley’s style of fighting is not going to make people want to pay to see him fight, even if it’s free and on TV. What then would make Top Rank want to pit him against its cash cow, Manny Pacquiao? Bradley fought only once in 2010 and his last fight was against Alexander in January. He declined a fight with Amir Khan in July. Top Rank lined up Timothy to fight on the undercard of the Pacquiao – Marquez fight on November 12 against 40 year old veteran Joel Casamayor in an effort to raise his exposure to boxing fans. It is unlikely that if as expected the “Dream Fight” between Manny Pacquiao and Floyd Mayweather does not take place boxing fans would come out in droves to watch Pacquiao fight Bradley instead. Is it possible that Top Rank is using Bradley as a ruse to lure Mayweather into a fight with Pacquiao, knowing that Manny will be retiring in 2013? The sands of time are running out for a Pacquiao – Mayweather fight happening. Frankly this writer does not believe it will ever happen. The gulf between Pacquiao and Mayweather at this point is ever widening. 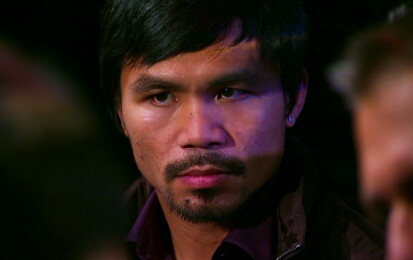 Boxing » Manny Pacquiao » Is the Bradley – Pacquiao fight talk a ruse?